Meet Me in DC LIVE streaming online from DC -- Go here to see us live. 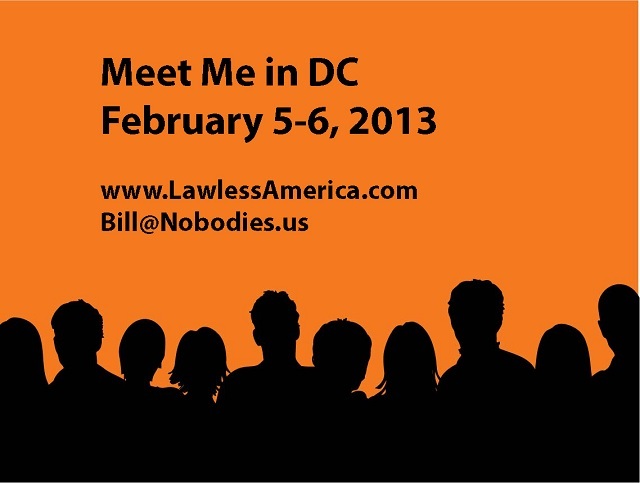 SEE US IN DC -- GO TO www.facebook.com/lawlessamerica. It started as a movie, and now it is a Revolution... 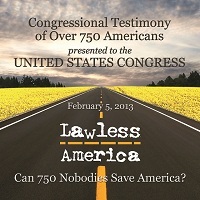 The Lawless America Revolution. 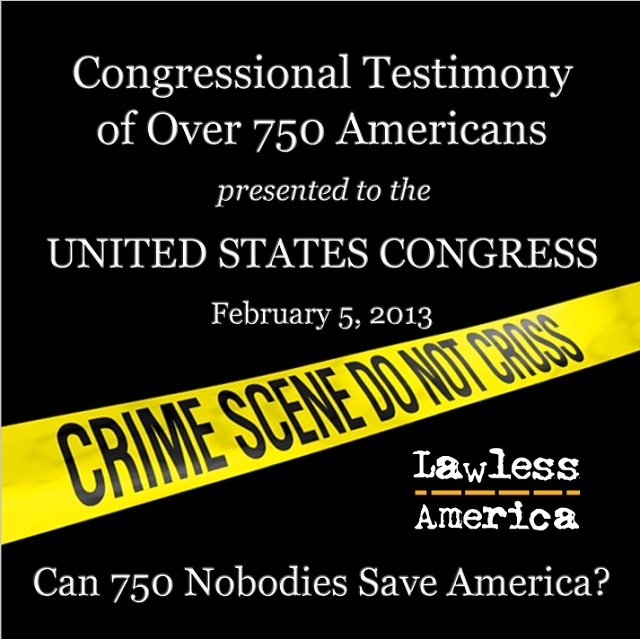 As of February 6, 2013, every elected official in Washington DC will have on his or her desk UNDENIABLE PROOF of the pandemic of corruption in government and the judicial system nationwide. 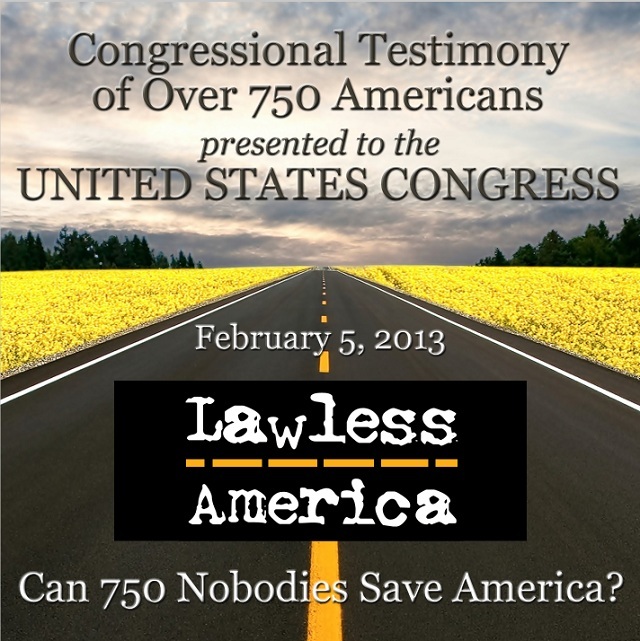 Each member of Congress will be given detailed information on the legislation necessary to minimize these problems. Every member of Congress will be on notice that they must act, and failure to act will make them complicit in many crimes.